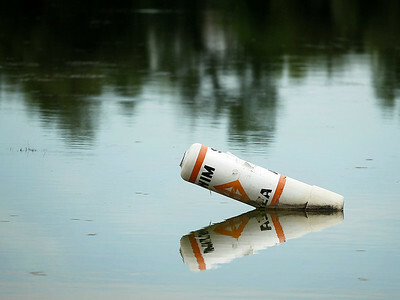 Matthew Apgar - mapgar@shawmedia.com Overcast skies turn the tranquil waters of McCollum Lake into a near-perfect mirror, reflecting a swim area buoy at Peterson Park on Wednesday, June 17, 2015 in McHenry. According to the National Weather Service, rain will continue to put a damper on summer beach activities throughout the week with chances of thunderstorms on Thursday, Saturday, and Sunday. 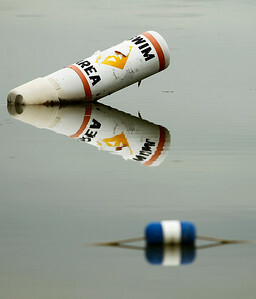 Overcast skies turn the tranquil waters of McCollum Lake into a near-perfect mirror, reflecting a swim area buoy at Peterson Park on Wednesday, June 17, 2015 in McHenry. 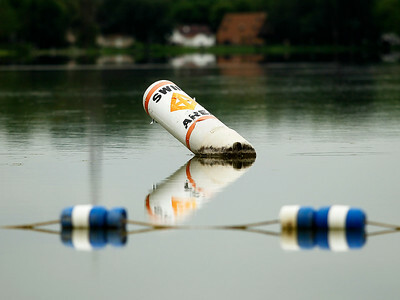 According to the National Weather Service, rain will continue to put a damper on summer beach activities throughout the week with chances of thunderstorms on Thursday, Saturday, and Sunday.